People analytics is increasingly on the agenda for organisations. 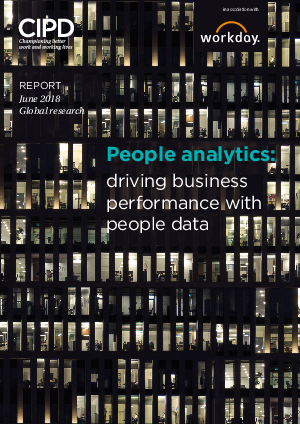 With the rise of workplace technology allowing leaders to track employees’ performance, productivity and wellbeing, we partnered with the CIPD to survey over 3,000 business professionals to understand how people analytics is being used. And the results are in, 65% of respondents who work in an organisation with a strong people analytics culture, say their business performance is strong compared to competitors.